by Eric Harvey | Parenting & Families | This book has not been rated. "A practical and inspiring handbook devoted specifically to bridging the communication gap and fostering respect and understanding between adults and youths namely parent/child and teacher/student relationships. 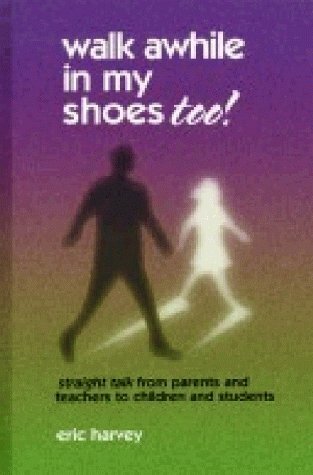 Walk Awhile In My Shoes, Too is an enlightening dialogue that shares two points of view. One half is written from the perspective of the parent, and the flip side from a 10-18 year old viewpoint. Psychologists, counselors, parents, coaches, mentors, teachers, youth organizations and pre-teeners through teenagers will benefit personally and professionally from the straight- talk approach of this unique and powerful work."